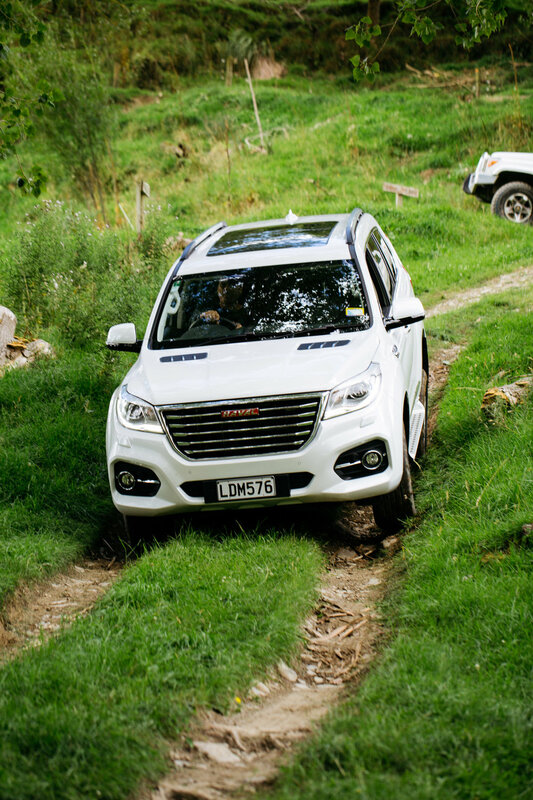 Haval rhymes with travel … which seems apt for the fastest-growing brand you’ve possibly never heard of. The H9 is an interesting entry into the burgeoning SUV sector. FIFTEEN years ago, many Chinese families could not afford a car. Today, they not only have the wherewithal but they're getting picky about what to buy. Sports utilities are, with their high seating positions and decent view of the road, are increasingly topping the wish list. Haval in particular has won the hearts of Chinese consumers. This adjunct of the Great Wall brand brand came from nowhere to become the biggest sports utility seller in China, a mantle it has held tight for 15 years. Yet it says a lot about the aspirations held by China’s auto barons that even though all three SUVs that Haval builds are among the top 10 home market favourites, that despite SUV volume increasing by up to 40 percent annually over the past decade and regardless that Haval built more than one million cars at home last year … well, it’s not enough. China’s domestic brands have to work hard to earn customer loyalty back home; ironically, because nothing shouts success like owning a foreign branded car. So the only way to keep going up is to do as the foreigners do, and take your brand into the world market. Haval’s international push started in Russia. It’s really done well there. It has since gone into a number of other left-hand drive markets. Same result. Now it’s pushing into the right-hand-drive sector. New Zealand is just the fourth stop for that campaign, following Australia, South Africa and Bangladesh (where the brand’s distributor is quite literally a one-man band. His name is Leonard). We’ve been taking Havals for less than a year. So far, the sales count runs at 63 units, mostly the H6 which has also been the brand’s best-seller back home. 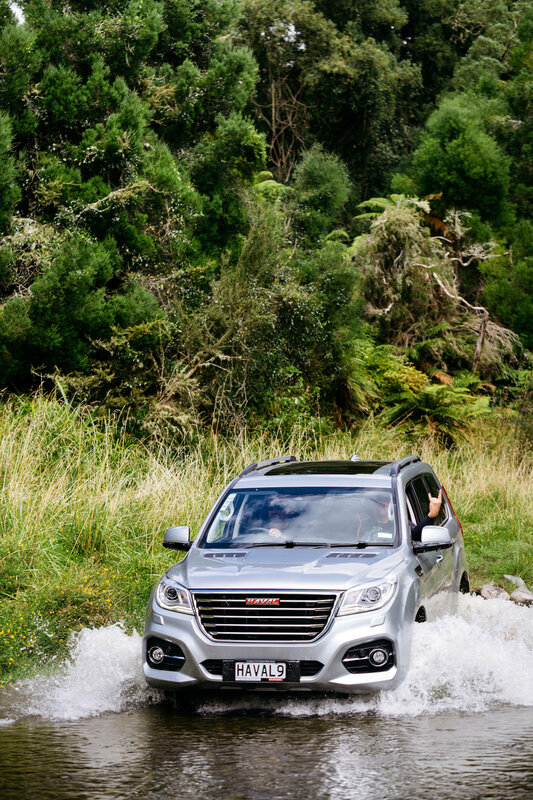 Haval’s distribution and sales here has been run out of Melbourne, but they’re just opened an office in Auckland and intend to sign up more dealers, from the existing base of six outlets. The H6, a medium, and the H2, a compact, have been represented here since start. Now comes the brand’s biggest offer, the H9, a seven-seater that has been around for some years and has just undergone a big refresh, potentially the final one for this model. Haval has said a whole new edition is going into production around 2020. Well, the final big one. In introducing this model in two formats – a $43,990 base edition called the Lux and the $47,990 Ultra - to New Zealand media, Havel’s comms man Andrew Ellis said some more improvements will roll out over the next 12 months. If you’re a fan of automatic emergency braking – and Haval now is, recognising that it is a must-have to earn a five-star ANCAP from now on (as is, it has a four star score due to a footwell intrusion issue that, Ellis says has now been sorted through re-engineering) – then hold off buying until that comes in the third quarter. And if you want a new infotainment system with phone mirroring through its range; well that’s also arriving about the same time. No word, yet, when it might pick up an active cruise control, the only other noticeable equipment lapse. You’d have to think the absence of these ingredients won’t cripple its chances, because as is this machine still carries the handy mantle of being the cheapest big SUV on the market. Is that all it’s got? A first run raised thought that the marketing proposition about this model being seen as a fully valid equal to the likes of the Hyundai Santa Fe and Kia Sorrento, the Mitsubishi Pajero Sport, Holden Trailblazer, Isuzu MU-X and even the Toyota Land Cruiser Prado is driven more by optimism than anything more concrete. At the same token, our day-long outing also left indelible impression that it doesn’t deserve to be derided, either. The H9 is not as polished as some of those cited competitors by any means, but it does nonetheless have a lot to offer. Also, having given it a good burl on an off-road course at Makoura Lodge, at the top of Manawatu’s Pohangina Valley, that was purpose built to meet Toyota’s New Zealand’s requirement for a local test ground to undertake pre-release evaluation of NZ-market Hilux and Land Cruisers, I can also report that it’s a truly tough nut off-seal. It took on, and beat, every obstacle that I’ve seen the Toyotas tackle. Admittedly, the course caretaker did concede that the single-toughest challenge, a steep rutted muddy ascent, had been reworked a bit for the Haval. Noticeable in its absence was a mid-climb step on which I managed to leave a Land Cruiser 200-Series front left indicator assembly a few years ago. In overall ambience, the H9 is an interesting thing. It looks modern inside and out, but there’s nothing about the design that’s especially avant garde. It’s well-equipped, but not to the point where it is a technology leader. In driving aspect, it’s more like the big off-road wagons that Japan Inc is slowly weaning itself out off; the performance and handling are within safe parameters, but it at times feels a bit big and cumbersome. Also, a Haval on gravel can be a touch floaty, despite the girth and weight. The brand only has two suspension tunes – domestic and export. We get the latter, which is said to be better suited to our driving style. Without driving a domestic edition, it’s hard to say how much better it is. However, as things stand, it’s okay, but not brilliant, with enough movement and sway to potentially be rated as a ‘best avoid’ by those who suffer motion sickness. The steering is light, it demands decent braking distances (push the stoppers with more than light force and it triggers the emergency flashers, a trait that is going to be altered by means of reprogramming) and the performance is relatively modest. Haval’s people are refreshingly open about where their product stands. They know there will be derision and suspicion. So be it. All they offer is that Haval is serious about getting big on the international scene and getting their products right. In that respect, they readily acknowledge that the H9 we see (the HY18 in brand-speak) is a lot better than the one it supersedes. They also say the improvements it enjoys are a direct result of feedback, not just from owners but also the media. Even though the performance is not startling, the engine is still worthy of positive comment, because of what it is. It seems surprisingly that Haval doesn’t offer a diesel because that’s still the preference in this category. Even more of an eye-opener is that the petrol on which a car of this size and 2200kg substance should rely on is but a 2.0-litre turbocharged petrol four. The outputs are impressive, with 180kW power and 350Nm torque. That’s an improvement over the pre-facelift model, which has 20kW and 26Nm less. The improvement comes from it running a higher compression ratio, now up to 10.0:1. It also demands 95 octane fuel or higher. Torque talks for off-roading. Regardless that it is supposed to peak at a diesel-like 1800rpm, the Haval’s muscle seems more decent on paper than on the turf. It needed quite a lot of revs at times to get over the ruts and ascents, and once stalled on me when tackling a biggish climb. At the same token, it has enough torque to take the car around our first test, a series of small hillocks, at idle – a very diesel-like trait. At the same token, the throttle is far more touch-sensitive than a diesel’s; just a wee prod seemed enough to make it race. You might wonder why anyone would take the H9 off-road, since most modern SUVs have largely abdicated that role, at least in a fully serious sense. However, the reason why the H9 feels a bit wobbly and demanding more respect on seal than, say, a Toyota Highlander might is that it has been tailored and built as a few SUVs still are; in the old-school way that might seem quaint but, sales stats suggest, still finds good custom. Specifically, that means a body on frame construction rather than monocoque. It also has a locking rear diff, low-range gearing with a transfer case and, despite the suspension being relatively sophisticated (double wishbone up front, multi-link rear) a ton of axle articulation, plus reasonable ground clearance (206mm) and wading depth (700mm). There’s also a dial-operated off-road menu. The Auto ‘set and forget’ mode is for on-seal driving too but seems to tailor to other terrain nicely, or you can get more specific with Sand, Snow and Mud modes, which all tailor the ESC to different levels of intrusion and, for extreme work, a full out low-range gearing mode which disables the hill-descent control. All in all, it’s as much as you need or more than you want, depending on the kind of school run you’re considering. Clearly the one Haval has in mind includes a mountain climb, a stream crossing or two and lots of ruts and all this capability means it can still acquit confidently off-seal even with 256/60 18-inch tyres that do seem quite seal-tuned in their tread cut. The engine’s outputs and the body construction are enough to make this a pretty decent towing rig. Haval quotes a 2500kg braked-trailer tow rating, which is pretty decent and probably, in fact, on the conservative side. Economy is potentially the least impressive aspect. Haval cites 10.9 litres per 100km, which these days is a six-cylinder-like outcome, but again, hardly a budget-destroyer. The engine is an in-house effort, but the transmission is not. With the MY18 Haval has gone from a six-speed automatic to an eight-speed from Germany’s ZF, also a supplier to BMW and Land Rover. It delivers confident and smooth shifts and is probably a flattering accomplice for this engine. You can run it in manual mode, using paddleshifters to swap cogs, which is useful when driving on winding country roads. Another way to hurry things along is to leave it in Drive and engage the Sports, which certainly energises the engine, albeit to the point of it starting to sound a bit strained. The H9’s styling is an interesting proposition; you’d have to think the Prado was the design team’s muse, because there is more than passing resemblance in the silhouette, though the Haval’s nose is awkwardly longer. The body has the requisite bulked up look but is also pleasing in that it tones down on the chintzy detailing that often arrives with Chinese product, though the grille is definitely loud and proud. The side-hinged rear door seems a bit old-fashioned, but at least it swings the correct way – that is, out toward traffic – and is nicely weighted, mainly because the spare wheel (which is full-sized) tucks under the boot’s load floor. The cabin environment is intriguing; the quality of its materials is a bit haphazard – the plastics run from very good to poor and the maker’s comment about the fake leather (and the ‘wood’ trim around the gear selector) being of particularly good quality is not going to wash; fake is still patently fake. But even though it’s a bit of a pastiche, it doesn’t feel totally budget. We didn’t see the base Lux variant, but even though it seems quite well equipped, chances are you won’t either – that’s because the small premium that the Ultra commands buys so much more kits, still, that you’d be daft not to take the opportunity. Both models have a sunroof, front/rear sensors, reversing camera, blind-spot monitoring, lane-departure warning, rear cross-traffic alert, an 8.0-inch touchscreen, satellite-navigation, 10-speaker audio system and three-zone air-conditioning. You also get six airbags including protection for all three rows of seats, and ISOFIX mounting points. The Ultra swaps the cloth trim for that faux leather, adds heating, cooling, and two-stage massaging for the front chairs, provides a much bigger sunroof and also delivers an electric-folding function for the third seat row, plus a ramped-up Infinity audio system and more powerful xenon headlights. The rearmost seats are a kids-zone and the entry is awkward; the need for occupants to reach the back from the road side suggests it was not re-engineered for right hand drive. The second row bench is decent in size and comfort; you’re no more troubled for head or legroom there than in the front. From an ownership perspective, Haval offers a fulsome warranty and roadside assistance programme. The overall first impression is promising; obviously Haval is still finding its feet and it has some way to go to achieve class leadership- or even, for that matter, full category credibility - but even though it could stand a bit more polishing, its biggest product is certainly no comic turn. It’s hard to say how the residual value might stack up, but even so, you’re getting a lot of vehicle for a relatively low price. Haval is a brand that is very much on a quick march. The H9 as we see it now will be replaced, in a couple of years, by another that is said to step up to a modular architecture now under development.